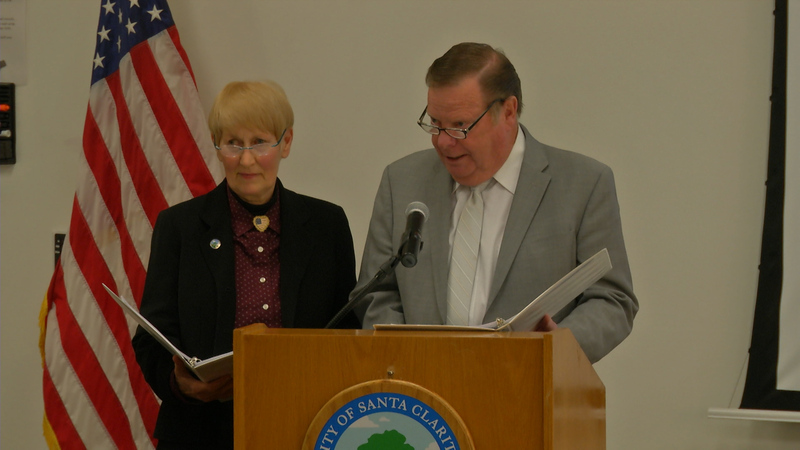 Members of the Santa Clarita City Council held a press conference at City Hall to address the decision made by the Interior Board of Land Appeals in regards to CEMEX Corporation’s mining contracts in Soledad Canyon. The much-anticipated decision by the Interior Board of Land Appeals (IBLA) on March 20, 2019, essentially states that all of CEMEX’s mining rights in Soledad Canyon will expire in July of 2020. The City of Santa Clarita has been fighting to prevent mining in Soledad Canyon since the CEMEX contracts were issued by the federal government in 1990. The contracts would have had adverse impacts on air quality, as well as negative effects on the Santa Clara River, the San Gabriel Mountains National Monument, wildlife corridors connecting the Angeles National Forest and local plant and animal life.